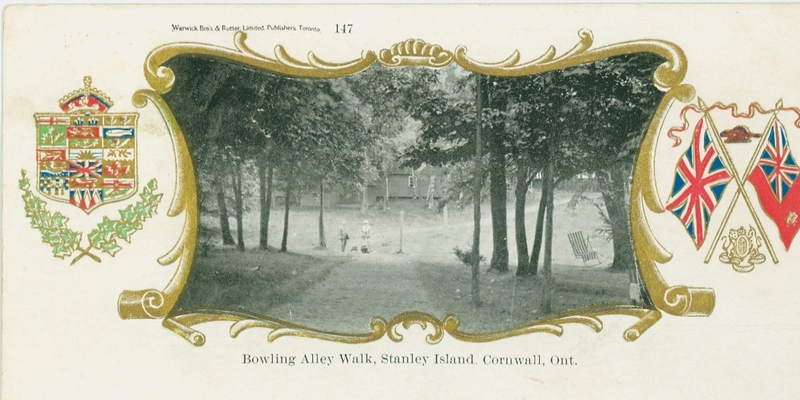 A World War I era postcard of Stanley Island, St. Lawrence River, Ontario. 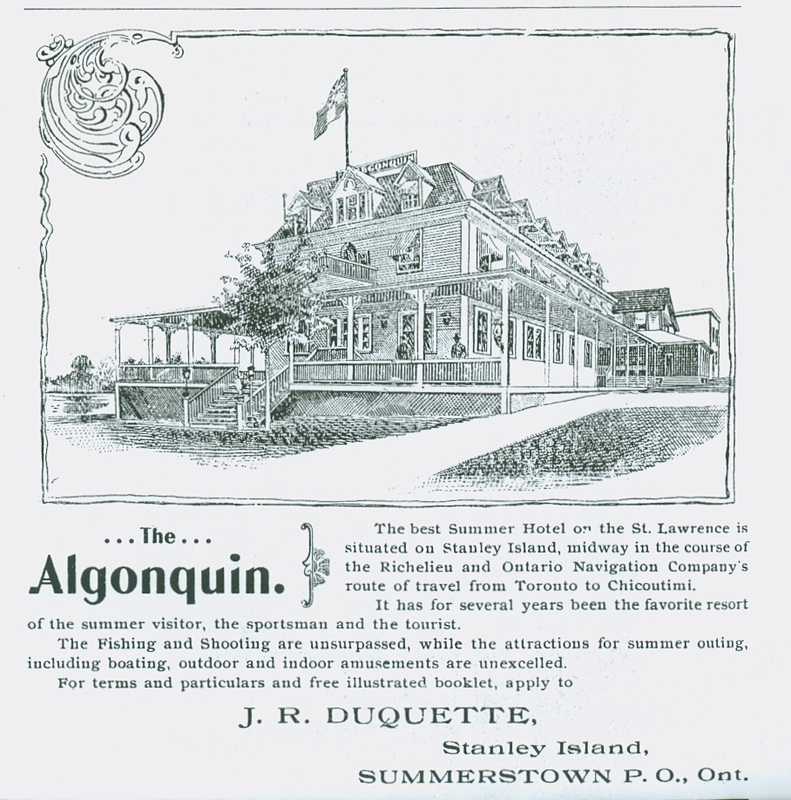 A 1900 advertisement for The Algonquin. 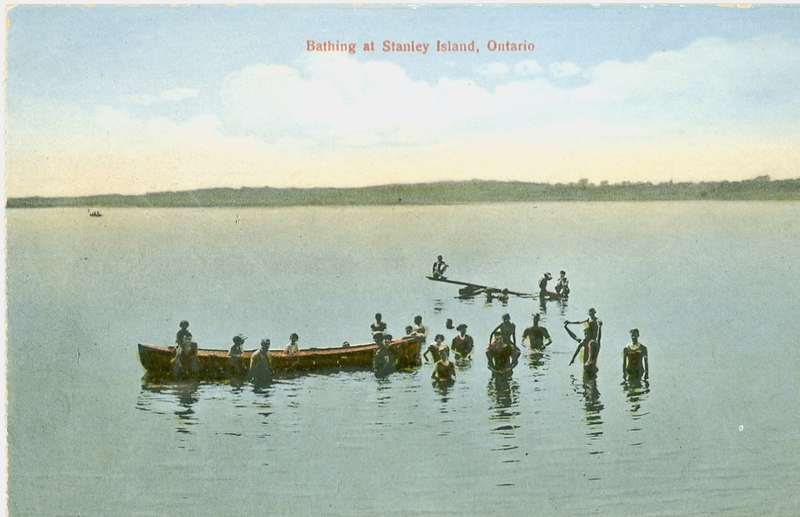 Stanley Island, “one of the most beautiful and attractive spots that can be conjured in the mind of the tourist” was the”in” resort to spend a summer at in Edwardian Canada. Located in Lake St, Francis, across from Summerstown, visitors flocked from Montreal to enjoy summer months there. Coming by R. and O. Navigation Company steamers that left Toronto at 2 p.m. daily, and arrived here 24 hours later, visitors could also take the train to Cornwall, where they could board the Island steamer “Ivy.” The steamers “Grenada” and “Princess Louise” could be picked up at other ports. Regular ferry service was essential, as along with holiday makers, Stanley Island was home to the Clines, Pringles, Flacks, Liddells, Maclennans, Ross’s and to H. Gardiner. Offering 50 acres of manicured parkland the resort was unique for its time by emphasizing outdoor sports. Providing a good beach, boating, tennis courts, bowling greens, a 9 hole golf course, croquet grounds, a 2 mile long bicycle path, wild fowl hunting and black bass up to 40 pounds – the management claimed that in many notable instances the weak were made strong and robust after a summer here. 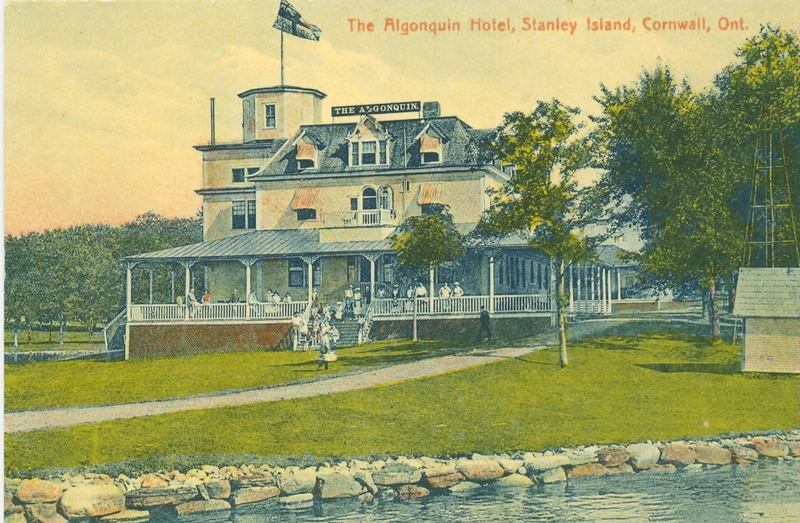 This idyllic environment was graced by the 300 room Algonquin Hotel. As the only hostelery on the island it was situated on a neck of land that permitted the hotel to face the “lake in 3 directions, giving the finest views from the windows of the bedrooms which are large, airy and well supplied with elegant furniture.” Built with a verandah, “the most necessary feature of a summer hotel” the entertainment included evening promenades, and nightly ballroom dancing. Water was provided by a water plant operated by a nearby windmill, while gaslight illuminated the hotel and grounds. 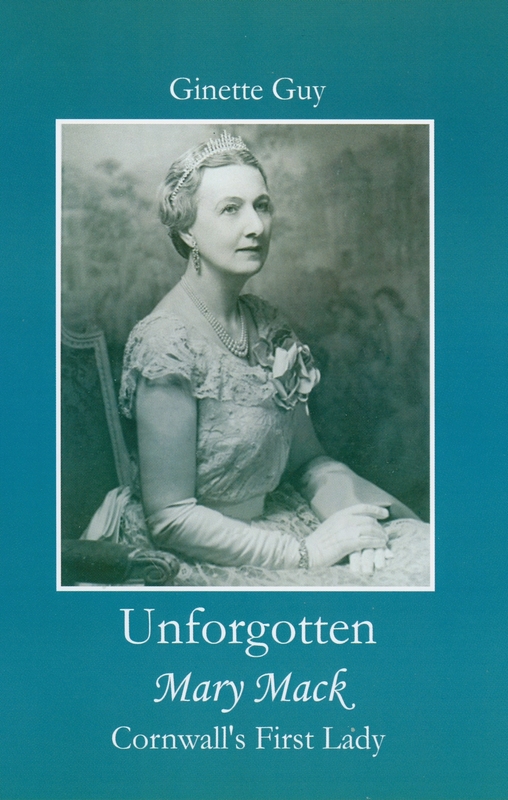 This paradise was managed by Joseph R. Duquette who prided himself on his catering department…It was said that his cuisine could not be improved. 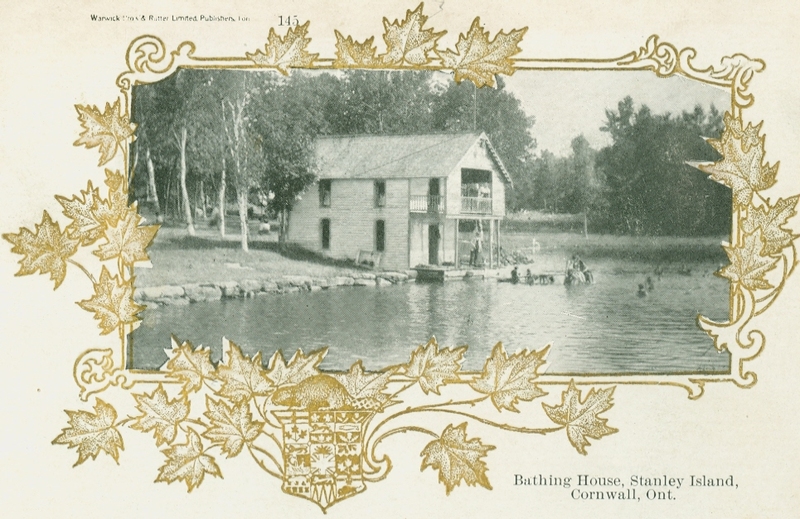 Throughout the 1920s the resort continued to prosper from May 1 to Oct. 31 as a mini-French Rivera.” Time brought cottages and bungalows fitted with electric light, hot and cold water and all modern convenience. 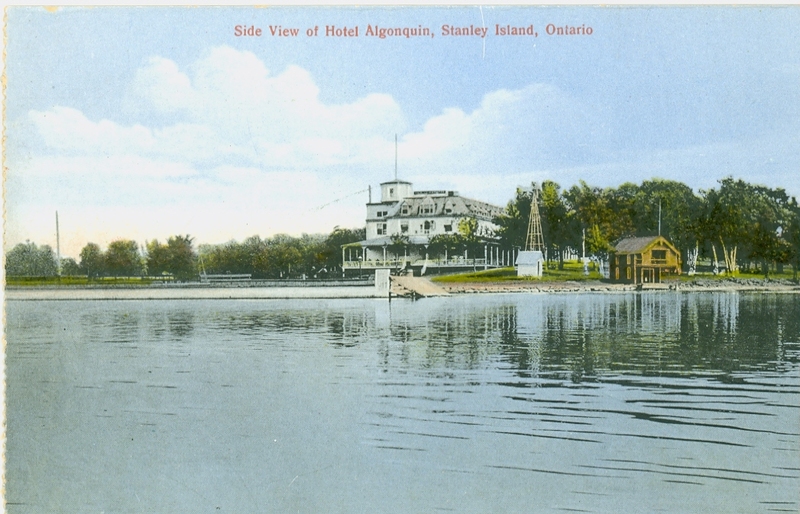 In 1936 The Algonquin was destroyed by fire to be replaced by the Chateau Stanley in Summerstown. Incorporating parts of the old hotel, this new establishment was run by the Algonquin;s former manager Ross Annand until the early 1960s. « Artifact of the Week. wicker and plywood bassinet, Lancaster, 1908.